Making time for a getaway with your spouse is important, but it’s easy fall into the pattern of let’s go in a few months when we’re not so busy…especially when you’re a parent. 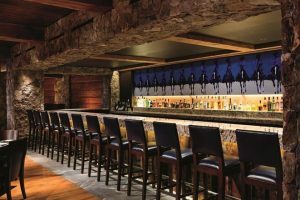 So when I looked at my husband recently and realized that we hadn’t had a break from the kids in a long time, I turned to the Ritz-Carlton Bachelor Gulch to help me create the perfect weekend getaway. The hotel is only a two-hour drive from Denver, our home base, and Beaver Creek is among the best ski resort towns in the Rocky Mountains. 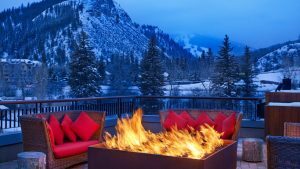 Forbes recently described it as “the most luxurious of all American ski resorts.” We could hardly wait. 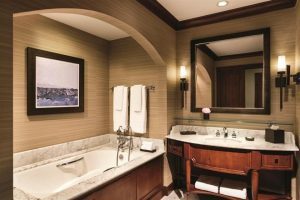 Although the property is just over a decade old, Ritz-Carlton completed a full renovation eighteen months ago. The massive structure has 40 residential units, 192 regular rooms, and two three-bedroom penthouses. There are several restaurants on site, each with a unique offering. 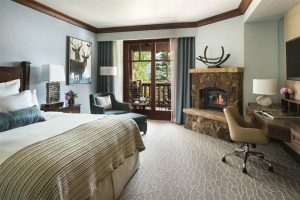 The resort has a ranger who guides daily snowshoe hikes, a complimentary shuttle to the town of Beaver Creek, a complimentary 45-minute photo shoot, a state-of-the-art fitness center, an award-winning spa, and a fire pit with s’mores and cocktails après ski. And that’s just a small sampling of the amenities! Through my relationship with Brownell, my clients will get Ritz-Carlton Stars Amenities. Some of those amenities include an upgrade upon arrival (if available), full breakfast for up to two guests daily in a restaurant, $100 USD resort credit to use during your stay, and early check in or late check out (if available). 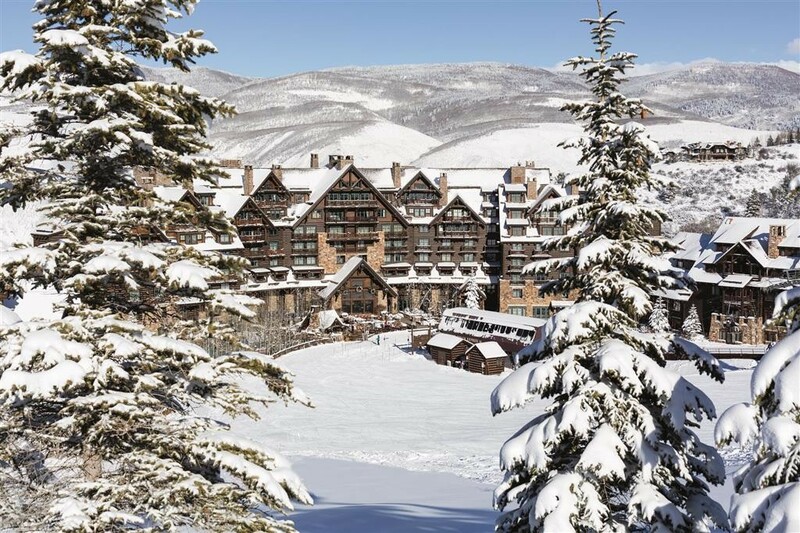 Ski: The resort is ski-in, ski-out with access to Beaver Creek. 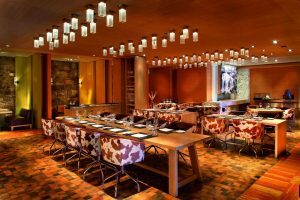 Spa: #1 on Travel + Leisure’s 2013 World’s Best Awards list of Top Hotel Spas in the Continental U.S.
Spago at the Ritz: I loved Winter Harvest Pumpkin Soup and Braised Short Rib Tortellini, and my husband was equally happy with his Crispy Veal Wiener Schnitzel. Buffalos: the casual, open-kitchen restaurant at the Ritz. It features dark leather bar stools, wooden-beamed ceilings, gracious and entertaining bartender, and Colorado artist Duke Beardsley’s art. Maya at the Westin Riverfront Beaver Creek: Mexican cuisine & tequileria (100+ agave-based spirits and house infused tequilas) and an outdoor terrace with killer views of Eagle River and Beaver Creek. Zack’s Cabin: Take a starlit sleigh ride, the only way to get there, to enjoy Colorado-native Chef Kirk Weemis’ take on American cuisine with a Pacific flare. The Bachelor’s Lounge at the Ritz-Carlton. Try a Vaportini—all the buzz with none of the calories. 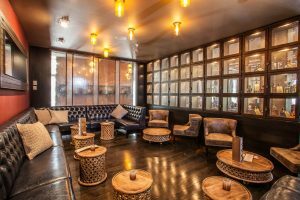 Cigar lounge, impressive wine list, outdoor space with fire pit and TVs—what more do you need? Using the ski valet. No need to drag your gear to your room—simply check them with the ski valet and they will be waiting for you, dry and toasty warm, the next day. You’ll never want to ski again without one. Spring and summer in the mountains are actually my favorite time to be there. Think wildflowers, clear Colorado mountain skies, and all the fresh air you can breathe. Check out the Westin Riverfront Beaver Creek. This resort is in Avon with a gondola lift to Bachelor Gulch. It was named top resort in the U.S. by Conde Nast Traveler in 2011, just three years after it opened in 2008. Fully renovated in 2015. Studio King Suite (450 sq. ft. and kitchenette) is a great value. Full-service ski valet + Beaver Creek Sports is on-site for rentals and other skiing must-haves. This resort is pooch friendly! Dogs are welcome anywhere except the restaurants. Kids club caters to the younger visitors and welcomes children ages 5-12. Amazing fitness center with physical therapy available. Mikeala Shiffren works out here! 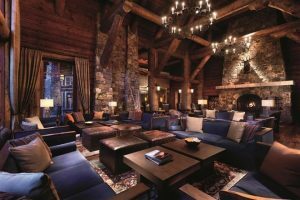 Après ski area—Parlor 126—with complimentary cocoa and cookies. 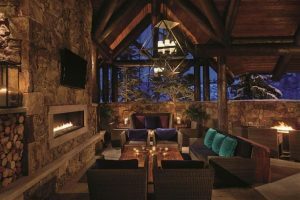 Photos courtesy of the Ritz-Carlton Bachelor Gulch and Westin Riverfront Beaver Creek.